¡Agregaste a Goo Goo Dolls a tus favoritos! Te avisaremos antes que los boletos salgan a la venta en tu región. ¡Obtén alertas vía correo electrónico y nunca más te pierdas los eventos de Goo Goo Dolls! Backed by a catalog of hits and a pile of platinum records, these Buffalo alt-rockers continue to repay the fans that built them with epic showmanship and tireless performances. Though they’ve ruled the pop-rock charts since the mid-90s, they were born in the punk rock trenches and never skimp on energy or spectacle when they're live on stage. Back on the road in 2014 in support of their tenth studio album Magnetic, the Dolls will be joined by Daughtry and the Plain White T's, making for one heck of an all-star rock lineup. Formed in upstate New York, the Goo Goo Dolls toiled in Northeast punk and college rock anonymity for nearly a decade before achieving breakthrough success with 1995's A Boy Named Goo. Featuring catchy '90s alt-rock staples like “Name” and “Naked," the album went double-platinum, thrusting them to national attention. 1998 follow-up Dizzy Up the Girl was an even bigger hit, catapulting the band to international superstardom with No. 1 smash "Iris," which garnered several Grammy nominations including Song of the Year. Since then, the band has continued to record and tour to critical acclaim, hitting the road once again in 2014 in support of their tenth studio album Magnetic. 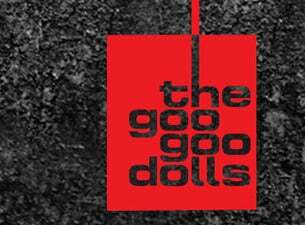 "This is my 3rd time seeing the Goo Goo Dolls & they are incredible live. I love them!" “This was the best I have ever seen the GGDs. There was so much energy and you could see how much they enjoyed playing. This was hit after hit of great music!" ¿A qué evento de Goo Goo Dolls asistirás?